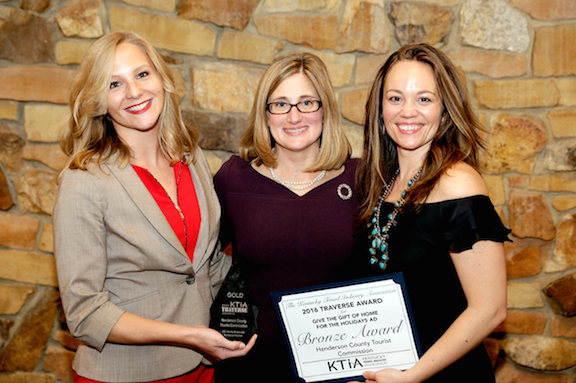 The Henderson County Tourist Commission has received two Traverse Awards for Excellence in Tourism Marketing from the Kentucky Travel Industry Association. The awards were presented at the KTIA 2016 Annual Conference in Lexington, Kentucky on Wednesday, November 2. 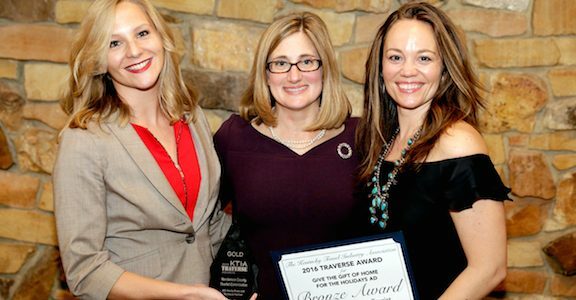 Kentucky travel and tourism business and organizations can submit entries in sixteen categories in the annual Traverse Awards competition. The Traverse panel of judges consists of marketing, public relations and tourism experts whose work is conducted outside Kentucky. Award criteria include concept, design, creativity and impact. About 200 entries were submitted from throughout Kentucky for the 2016 competition. This year’s entries must have been published or distributed for the first time between August 1, 2015 and July 31, 2016. The Discover Your Nature video, which made its social media debut in August of 2016, will enter the 2017 KTIA competition for Traverse Awards. The KTIA represents all segments of Kentucky’s $13.7 billion tourism industry. Tourist spending in Henderson County alone has increased every year for the past five years, providing tax relief on Henderson County households. For more information about the economic impact of tourism in Henderson County, click this link to learn more, or visit the Henderson County Tourist Commission.